Call us to find out how much your damaged sail or cover will cost you to repair it. We will repair where possible and inform you of any of the bump there may be along the way. This is why we have many cllient returning to us over and over again. 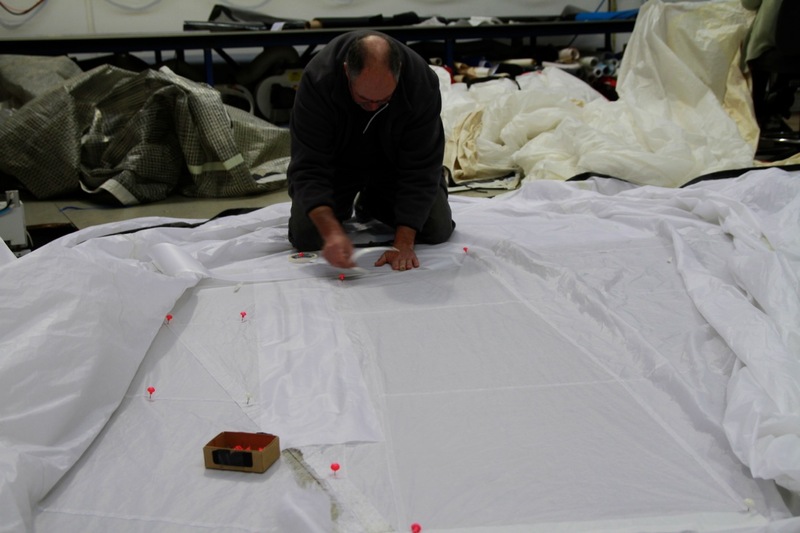 We take care in the quality of our repairs and are conscious that sails are sometimes need a quick turn around. Being sailors ourselves we are aware of the importance of sails performing and looking correct - even after they have been repaired or altered. Regular servicing your sails will help catch the small problems before they become big problems. Bolt rope inspection - wear on the bolt rope and surrounding cloth. Threads and seams - re-stitching worn seams before they split completely. Batten pockets and elastics - replacing worn batten pockets, the battens themselves and the elastics inside. Batten ends - wear at either end of the batten. UV strip - repair or replace. Clew, head and tack re-enforcement areas - check for the correct stiffness for the size of sail and repair if necessary. Windows - repair or replace fogged, stained, creased or broken windows. Tel tales - replace existing or fit new. Cuts and rips in the main cloth - general wear on the main body of the sail. Sail numbering/logo - fit, rebuild or replace with new. Leach lines - general inspection of the line, sleeve and cleats. Slugs - wear on the attachments and plastics. We will call you to discuss the work we feel necessary, and if you agree, we will launder the sail to make it look nice and clean, then do the repair work (laundering can sometimes highlight more areas needing repair). You can then either collect the sail or we can store it for you in our warm, dry storage facility until you need it again at the start of the season.